Diana Purnell, was elected as a County Commissioner in 2014 and is currently serving her second term in office. Commissioner Purnell was elected to serve as the president of the County Commissioners in 2017 and again in 2018. She represents the County Commissioners as a voting member of the Tri-County Council (TCC) for the Lower Eastern Shore of Maryland, and as a member of the Social Services Board and the Drug and Alcohol Abuse Council. Commissioner Purnell is the first African American woman elected as a Worcester County Commissioner. Commissioner Purnell is an inventor who holds two patents, and she has owned and operated a successful business for the past 35 years. Purnell is the former executive director of the Berlin Community Improvement Association and past president of the Worcester County Commission for Women. 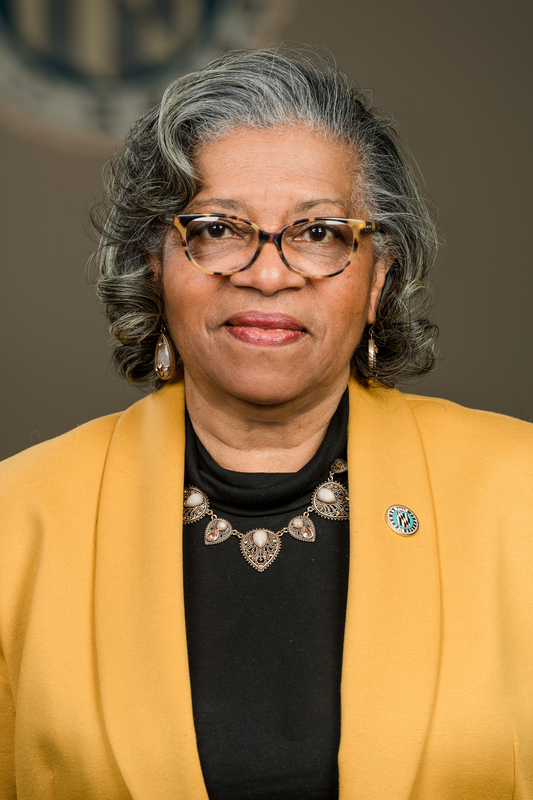 She is an active member of the Atlantic General Hospital Foundation Board, the Worcester County Branch of the National Association for the Advancement of Colored People (NAACP), and St. John’s United Methodist Church. Purnell and her husband, Gabe, reside in Berlin. The couple has two daughters, two grandchildren, and four great grandchildren.